Photo is 2 bracelets, double stacked to show all icons. 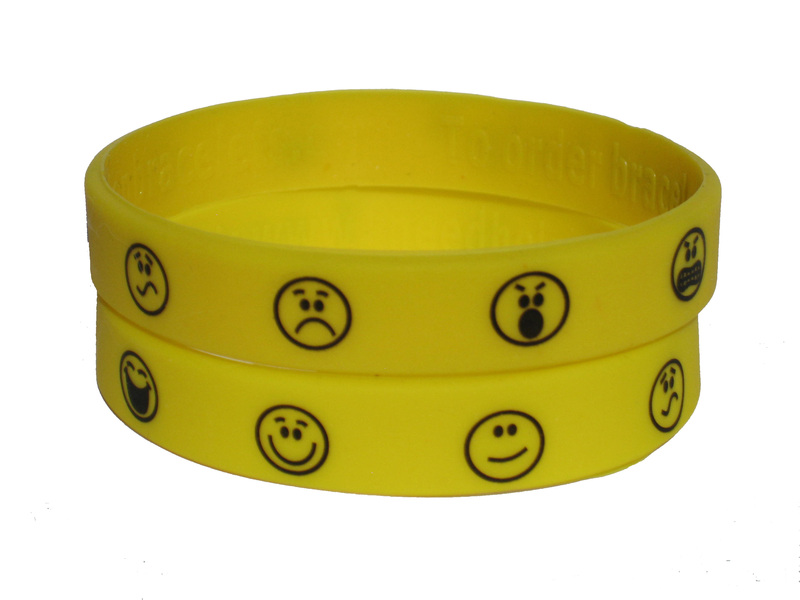 Bracelet comes with seven emotional faces that provide a visual aid for students to communicate their emotional level. When introducing the bracelet to a verbal person, ask them to identify what each face means to them and then always use their terminology when referencing emotions. 1. 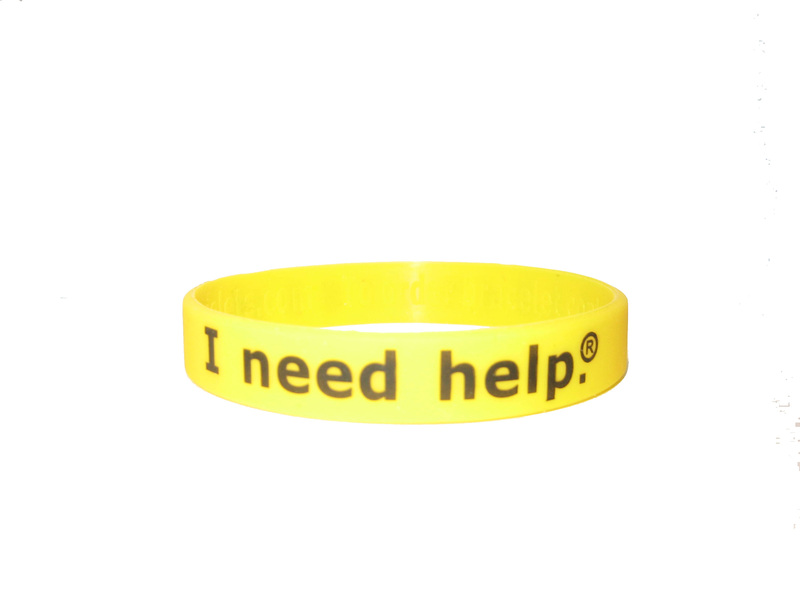 When a person looks distressed the staff member can say, “Look at your/my bracelet.” This prompts the person to look at the bracelet and then ask for help. 2. Non-verbal people can point to their own bracelet; this will cue the staff member that help is needed. 3. Point to the words on the bracelet and slowly say, “I need”. This cues the person to specifically say what they need. 4. The inside of the bracelet has embossing. For sensory needs some people use the bracelet like a "fidget" to rub and calm themselves when they are anxious or expected to sit still. Bracelets are 100% silicone, non-toxic and lead free . 6. The inside of the bracelet has embossing. For sensory needs some people use the bracelet like a "fidget" to rub and calm themselves when they are anxious or expected to sit still. Bracelets are 100% silicone, non-toxic and lead free . 7. Some students prefer not to wear jewelry therefore the bracelet may be placed on the student’s desk. 8. The pictures on the bracelets are a communication tool. This allows people to remember to check their emotional level.